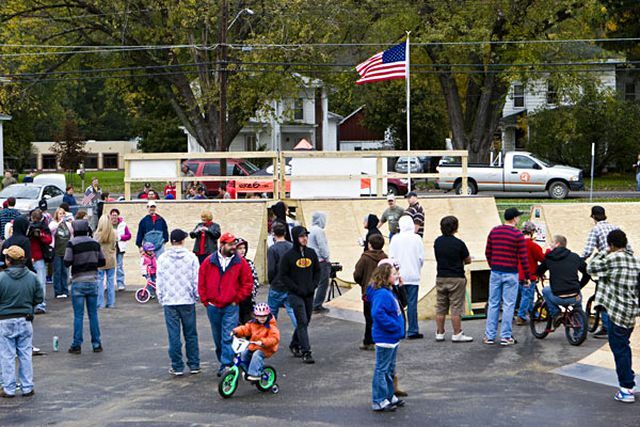 The Village of Newark Valley donated the location on Whig Street for a bike/skate park for the youth of the community. 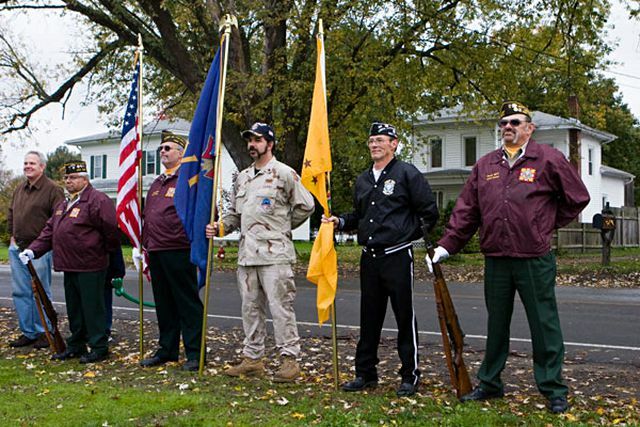 This park is named the Nick Wilson Memorial Park, in memory of Nicholas Wilson who was killed in action in Iraq on February the 12th 2006 while serving our country. Nick was a Navy Petty Officer 2nd Class, EOD Mobile Unit 3. 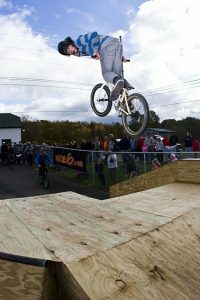 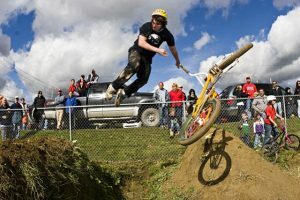 Nick grew up in Newark Valley and was a BMX biker, riding and working on the trails that were once at the Trout Ponds. 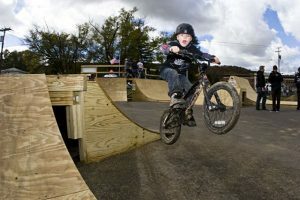 Nick’s family and friends have joined the Village of Newark Valley to make the dream of having a safe place for our community’s youth to ride their bikes and skateboards a reality and have formed the Nick Wilson Memorial Park Fundraising Committee. Visit their site at nickspark.wikifoundry.com for more information. 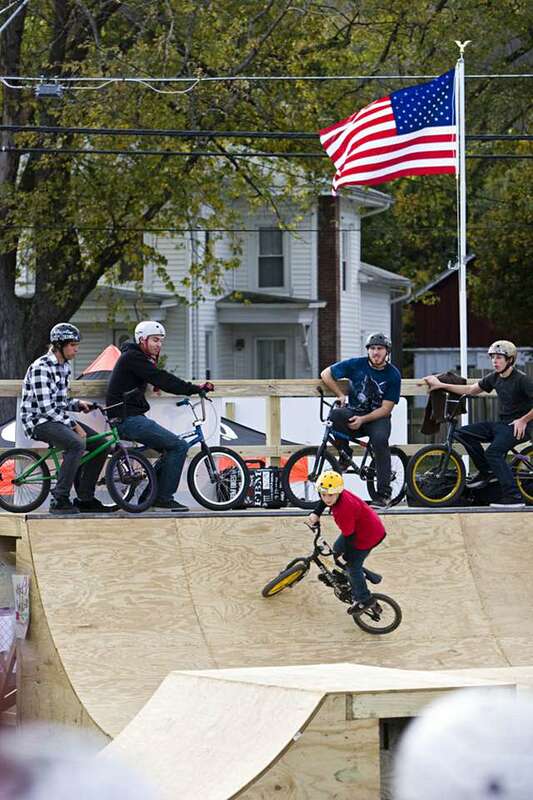 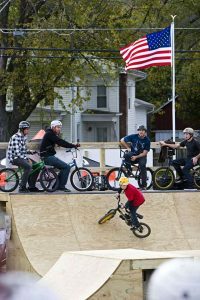 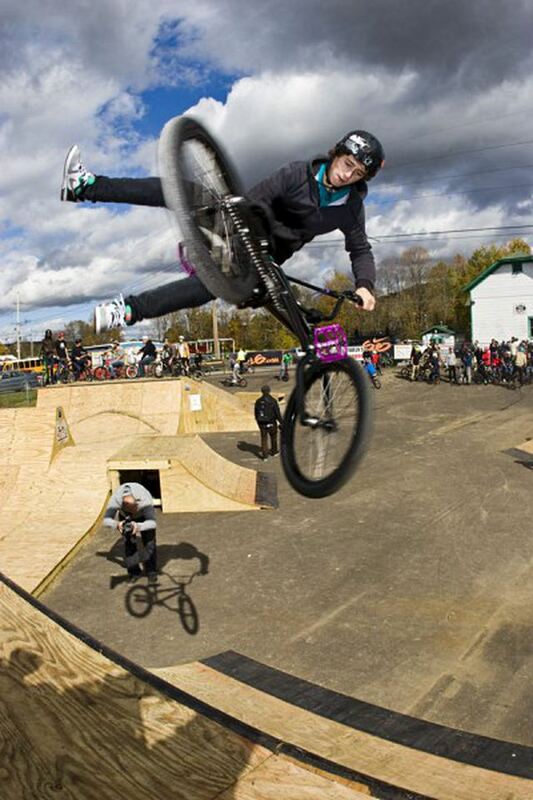 One of our local BMX riders, Nicholas Marzolino, entered and won a contest through Nike 6.0 for a $4,000 custom-built ramp. 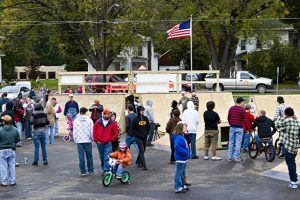 Nike was so impressed with the story behind the memorial park that they wanted to build more features than just the mini-ramp, and hold their event, “Banksgiving” , at the park. 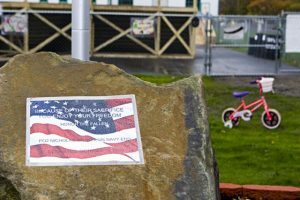 The fundraising committee hit a roadblock for paving the park, with a quote for a cost of $20,000. Fundraisers were held and two grants were received from the Mildred Faulkner Truman Foundation and Bassett Youth Foundation. 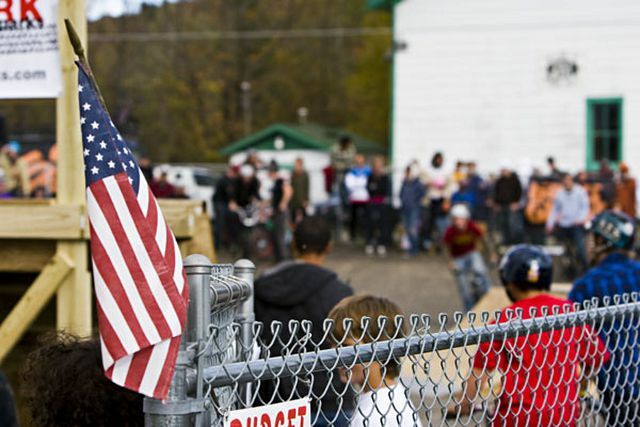 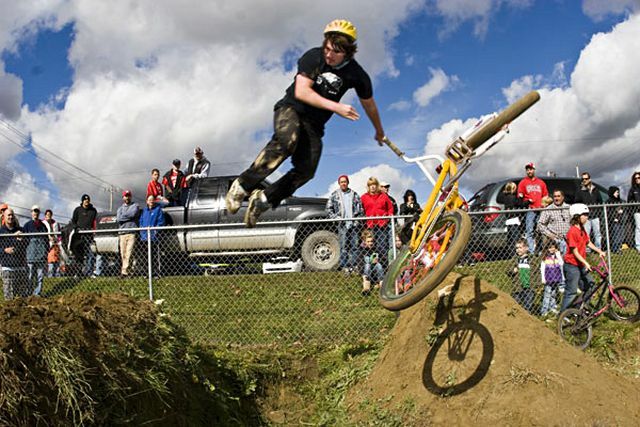 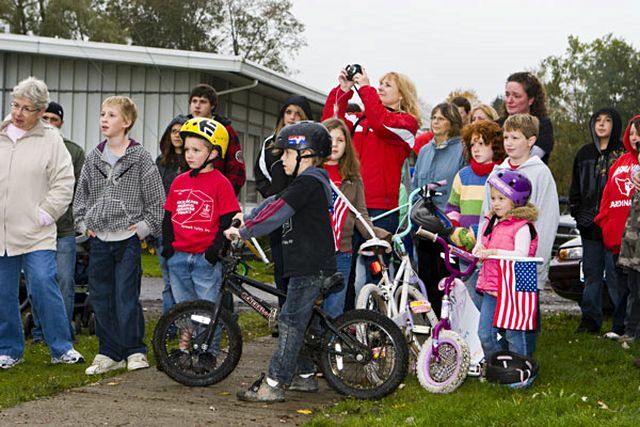 In June of 2009, thanks to the efforts of the Tioga County Department of Public Works and support from our County Legislators to donate the County’s paving services, the bike park was paved. 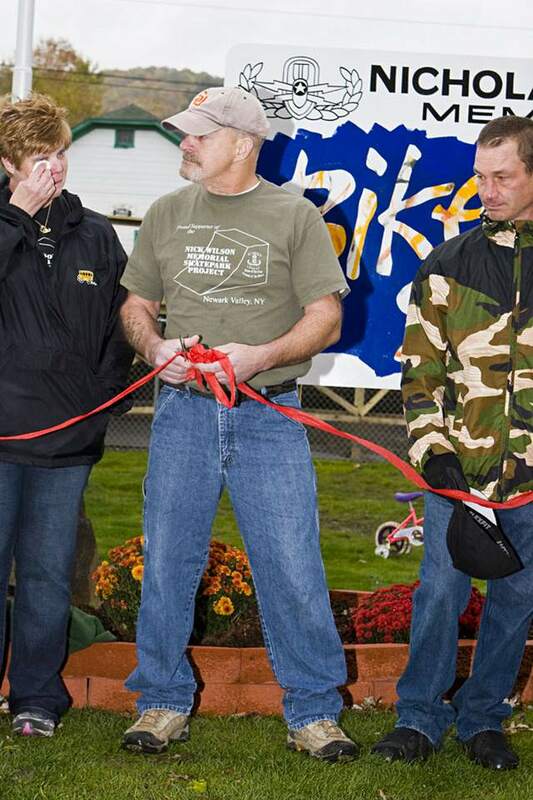 It was a joint effort of the Village of Newark Valley, Town of Newark Valley and Tioga County, along with the generosity of Broome Bituminous, who donated half of the paving material. 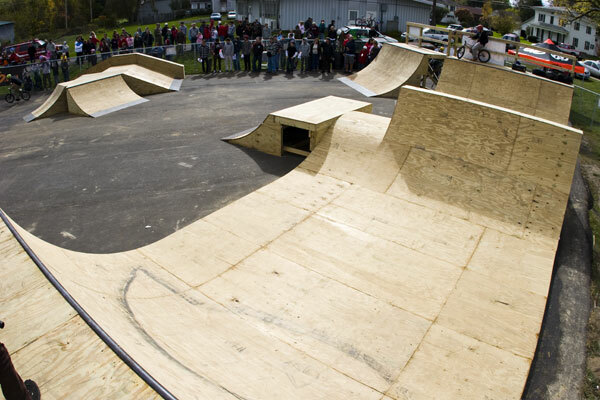 Our community came together and made this dream a reality. 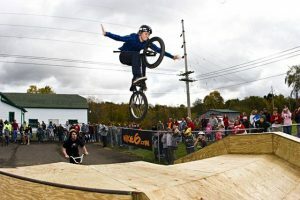 Banksgiving was a great success, hosted by Nike 6.0 after completion of the park for the grand opening on October 10, 2009.